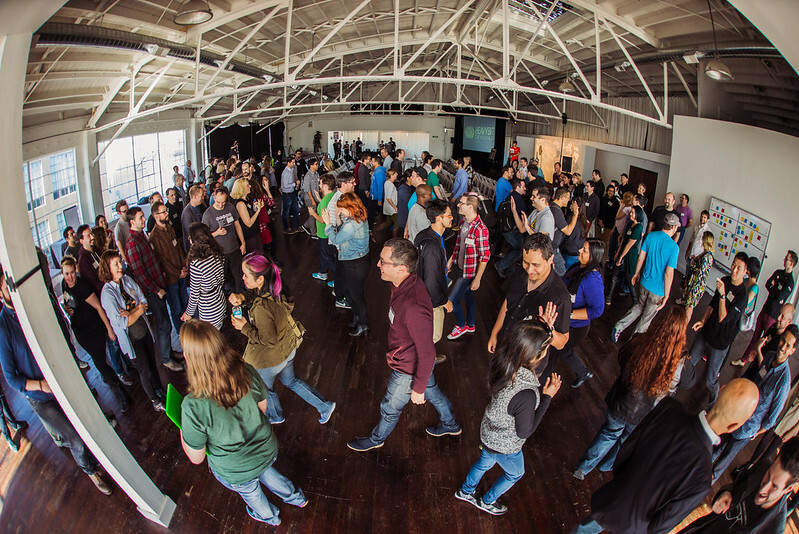 On Jan 29, 2015 more than 200 developer advocates & evangelists convened to explore the tactics and philosophies that inspire others to join a movement, rally for change and breathe life into what might otherwise just be code. James Ward has been a developer evangelist for over 10 years, for companies including Adobe, Heroku, and now Salesforce.com. He presents at conferences around the world and has published numerous screencasts, blogs, and technical articles. Leigh reboots computers and makes hackerspaces. She is a member of the Double Union women’s hackerspace in San Francisco, an administrator of the Geek Feminism wiki and blog, and adviser to the Ada Initiative. Matt is responsible for building and nurturing the Electric Imp community. He ensures their developer community has the resources and support they need to work on the projects and products they want to. Tim has been helping make developers happier people since 2010, through community-building roles at SendGrid and Keen IO – two different, yet very similar, developer tools companies solving problems through APIs. Kelly Watkins focuses on product marketing for developers at GitHub, and frequently wishes she was a ninja assassin. In her spare time, she writes CoffeeScript to relax. Stephen Nguyen currently serves as a organizer for San Francisco Ruby on Rails meetup and as a coach and alumni mentor at Dev Bootcamp. He is also founder and currently sits on the board of advisors to MAUVSA, a regional community nonprofit devoting to growing Vietnamese American leaders based in Virginia. In his free time you’ll find him trying to break things. DevGuild and Heavybit are Safe-Spaces. See our code of conduct for details. Ep. #4, When Should You Hire A PM?